Robb Reed began practicing meditation in 1993 after a transformative week in Plum Village, France, Thich Nhat Hanh’s retreat center. Upon his return, he studied at the Minnesota Zen Center. In 2002, he co-founded the Children’s Mindfulness Program at Common Ground where he practices to the present day. In addition to extensive formal retreat practice, Robb has completed the 9 day practicum in Mindfulness Based Stress Reduction (MBSR) sponsored by the University of Massachusetts Medical School’s Center for Mindfulness. He began his training with the Center for Spirituality and Healing in 2012 and has been teaching MBSR classes since 2013. 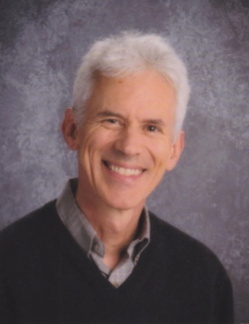 Robb is a former public school teacher with both New York City and Minneapolis Schools. He is keenly committed to bringing mindfulness into the schools. He has completed the Mindful Schools Curriculum Training in Oakland, California as well as the MindUp curriculum training by the Hawn Foundation. He teaches a modified MBSR course to teachers called Mindfulness: Self-Care for Educators and consults with educators on bringing mindfulness into education.